NEWPORT BEACH, Calif.--(BUSINESS WIRE)--Trivver announces their Software Development Kit (SDK) for Unreal Engine is now available. Trivver’s XR Ad Platform solves the challenges most commonly associated with immersive advertising with its multi-patented, unified software platform that enables companies of all sizes to easily monetize digital environments via non-disruptive advertising. 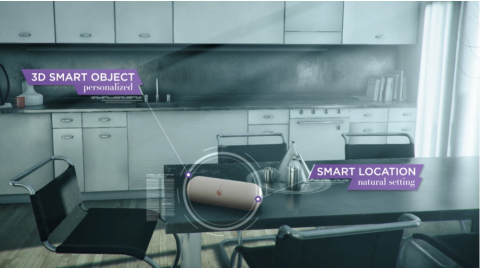 Years in the making, the company has developed highly intuitive, interactive branded smart object technology that gathers valuable user data generated within XR locations such as 3D environments, augmented reality, virtual reality, mixed reality and more. Trivver’s Smart Objects consist of: 1) 3D interactive products, 2) in-game billboards that when engaged, activate additional product information, and 3) in-game videos that can be personalized to each user. One of Trivver’s most attractive features is its ease of use. With Trivver in place, advertisers and content developers can now save an enormous amount of time, frustration and costs commonly associated with integrating content within immersive environments. Trivver’s unique ability to deploy 3D assets and dynamically render them to automatically fit any environment on any device makes integrating branded content within XR environments as easy as uploading a single object to Trivver’s ad exchange. For advertisers, the experience of creating and deploying 3D branded content via Trivver’s XR Ad Exchange is as easy and familiar as implementing advertising on platforms such as Google AdWords and Facebook Ads. With Trivver, advertisers gain the powerful ability to reach mass audiences and specify targets within these new XR environments. In addition, Trivver’s real-time data aggregation tracks and measures users across the entire digital universe. Furthermore, Trivver’s anti-ad fraud technology ensures branded content is viewed and engaged by actual consumers, not fraudulent bots that result in wasted ad dollars that yield minimal return on investment. For content developers, regardless of audience size, producers can now leverage their 3D environments to attract advertisers and monetize immersive experiences in ways never before possible. Trivver’s ‘piggy-backing’ system combines all XR environments from participating developers to create a vast network of XR users. This unique, patented ability gives developers of all sizes the ability to earn advertising revenue from inception. With Trivver in place, the digital XR world now easily becomes highly valuable ad revenue environments, thus encouraging content to finally flourish. Trivver is a multi-patented technology that makes placing personalized, natural advertising into Virtual, Augmented Reality and other digital environments extremely simple, scalable, highly efficient and trackable across all devices such as smartphones, tablets, OTT and desktops. For more information, see our explainer video or website and to receive the Trivver Unreal SDK, please register here (for advertisers, please register here).